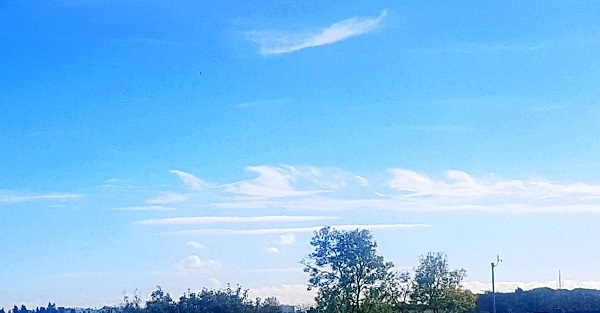 Clouds caused by Kelvin-Helmholtz instability over Ireland on October 15th 2018. Photo by Emily Gleeson. Since I started studying meteorology just over a decade ago, I’ve been watching the skies in search of the special Kelvin-Helmholtz waves or Fluctus clouds, my favourite cloud type. Fluctus is the Latin word for billow or wave and reflects the shape of these clouds. My wish finally came true on the morning of October 15th 2018 when I spotted these ocean wave-like clouds over the County Kildare town of Maynooth. I feel so lucky to finally have seen them. Kelvin-Helmholtz waves are named after Lord Kelvin and Hermann von Helmholtz who studied the physics behind the atmospheric instability that leads to their formation. They are easily identifiable because they look like breaking ocean waves but are short-lived. They are thought to have been the inspiration for van Gogh’s masterpiece “The Starry Night”. A Kelvin-Helmholtz instability arises when there is a difference in velocity and density across the interface between layers of fluid. In the atmosphere this happens when two layers of air of different density are moving at different speeds, the upper less dense layer moving faster than the lower denser layer. Stronger winds above a cloud top compared to inside a cloud result in the cloud top being pulled into a wave-like formation. The upper layer is usually drier which results in evaporation and the quick dissipation of these cloud formations. These clouds form on windy days when there is a temperature inversion (i.e. temperature increasing rather than decreasing with height above the ground) and are a sign of atmospheric instability and turbulence. 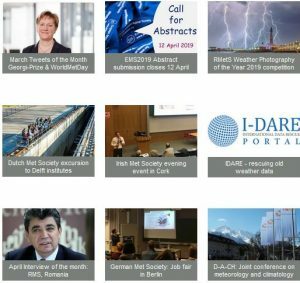 If you have any photographs of Kelvin-Helmholtz clouds that you would like to share with us, please send them to publications@emetsoc.org.